Recently I posted a video on my youtube channel about Aplava Haul. I shopped from a new personalized online beauty product website. You must check out my video to see what all I have shopped. 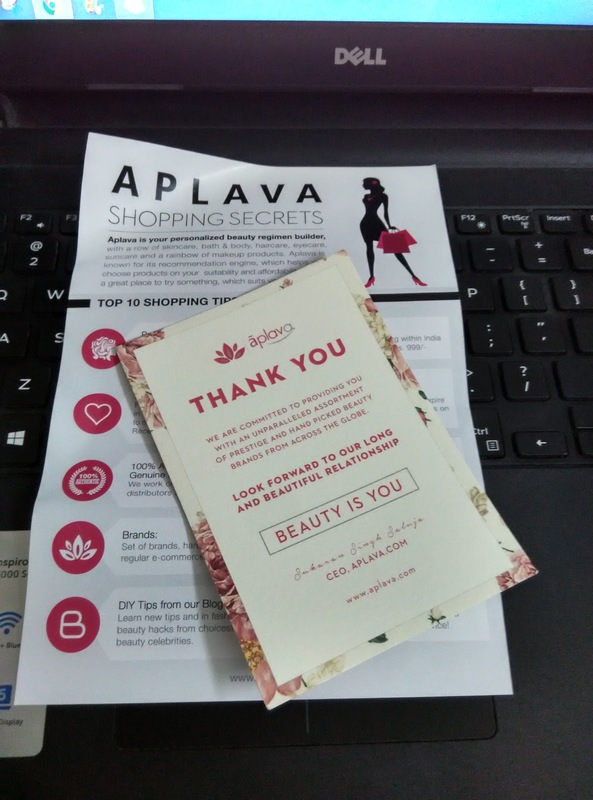 Aplava is very different from lot other shopping websites. You can create your account by answering a personal quiz. This quiz is fun and by answering all the questions correctly the algorithm of website will suggest you products that are best for you. This was great and I tried several combinations just for fun to see what type of products it chooses each time. To my surprise website suggested the most appropriate products according to skin type. Once you will click the brands section you will find list of brands from A to Z and there are so many brands listed over here. Infact I learnt so many brand names by looking at Aplava list. I really wanted to order some make up so this time I ordered makeup but my next haul is definitely going to be a skincare haul. I personally believe that you should always gift something useful to someone. Best gift to lot of women and gift sets. Aplava gives you various gifting options and you also get a facility to get it packed and delivered at your desired address. The website of Aplava is user friendly, has good speed and loads easily on laptop as well as phone. It is easy to shop and place order. My order was delivered within 4-5 days in a nice packaging that kept my products safe. Each time you place order you earn some loyalty points that you can use at the time of shopping to earn some discount. You can choose to pay online or by cash on delivery. Since it is start-up they don’t have each and every product for every brand. Aplava has tried to bring lot of products together but still they have to stretch out more. As a customer we want to browse more and more options before we decide what we want to purchase. My overall shopping experience was awesome and I will definitely recommend all my readers to check this website and let me know about your experience. If you have slightest doubt about the originality of products than don’t worry about it at all. All branded products sold on Aplava are original.